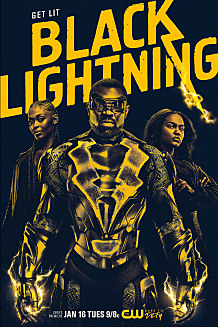 Black Lightning Premieres next Tuesday, January 16. With the imminent arrival of the newest DC Superhero TV show property, I bring you thwe 2 trailers that have been released. As BL is being executive produced by Greg Berlanti, you have to imagine that this show will be an official part of the Arrow-verse though from what I have seen and heard, outright references to the other properties will be limited, at least in the beginning. Jesus Christ Superstar: Live in Concert. We got 15 seconds of really not much of anything other than the stars that have been announced (John Legend, Alice Cooper and Sara Bareilles) but I love the music from JCS so much, hearing the first chords playing over the trailer was enough to get me excited. So, I share it with you.